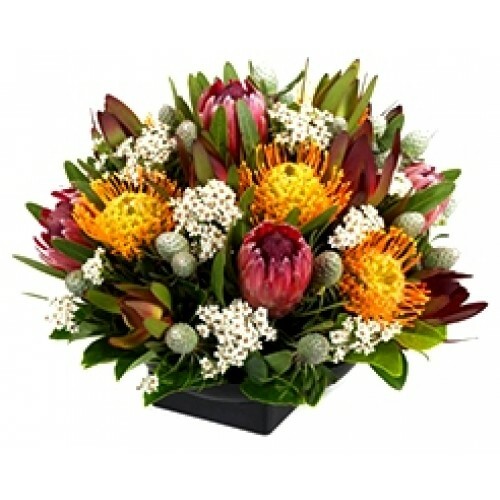 Large Box Arrangement of Native Flowers. Due to seasonal availability of certain flowers, we may be required to substitute some of the flowers shown in the image. Our Florists will substitute with a suitable flower in similar color, shape, style, quality and value.